I like doing B2B copywriting. There’s always something new to learn. Before I worked with Hong Kong MdX pioneer DiagCor I had no clue about molecular diagnostics. By the time the project ended, I’d learned about polymerase chain reactions, translational medicine, hybridization and a bunch of other amazing stuff related to DNA sequencing and analysis. I had the privilege to work with DiagCor as part of a rebranding project led by Hong Kong-based branding agency Stepworks. 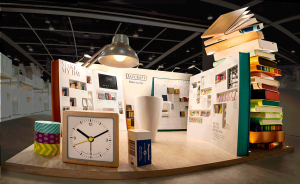 DiagCor is a true innovator. 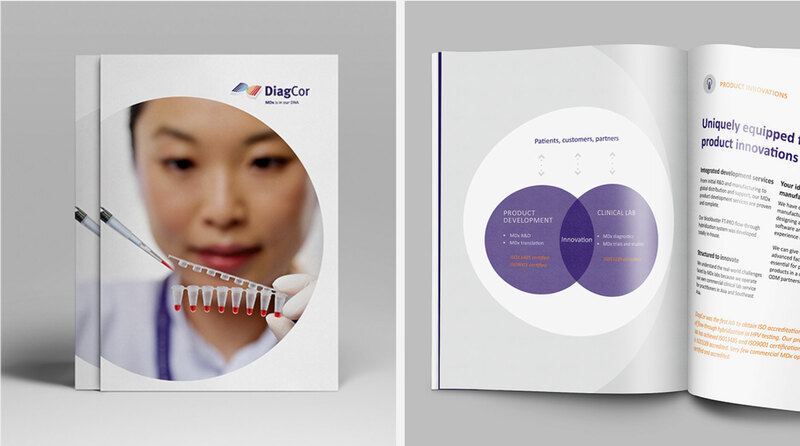 However many potential customers thought it was just a distributor – an important part of the project involved developing key messages to position DiagCor appropriately. You can read more about the DiagCor rebranding project here. 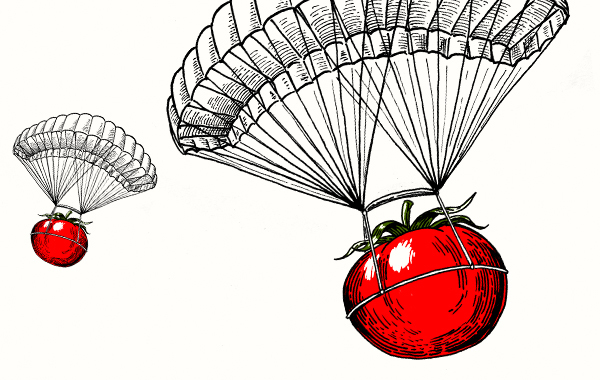 Perhaps the biggest challenge in B2B copywriting is to explain complex offerings in a simple and engaging way. As a B2B copywriter it’s essential to thoroughly understand the topic. With DiaCor that meant visiting the Hong Kong lab to learn about the remarkable processes behind gene amplification and analysis. That was truly fascinating and I’m always eager to get involved with new topics via B2B copywriting. It can be a challenge to come up with the right name for a new business. A strong name will help people understand the offering. It will stick in the mind. And that’s where you want your name to be – superglued tight into your customer’s mind where no boring competitor name can hope to dislodge it. Working with Hong Kong branding agency Stepworks, I helped coin a name for Hong Kong personal chef Tom Burney’s new mobile gourmet catering service. The name is effective because it suggests mobile catering and opens interesting creative possibilities. Next time you think gourmet catering in Hong Kong, and you think Invisible Kitchen, you know who to think. Thank. Something like that. There’s only one thing more fun than beer and that’s beer advertising. Come to think of it, brewmasters are pretty fun too, as the English copywriter in Hong Kong found out during the development of this campaign for a new craft brewery in Shanghai. If you ever find yourself in Shanghai, grab the Maglev from the airport then stroll a couple of blocks to the Kerry Hotel Pudong, Shanghai. Even better, jog to the hotel and work up a bit of a thirst. Upon entering the hotel, don’t be distracted by the sumptuous surroundings. 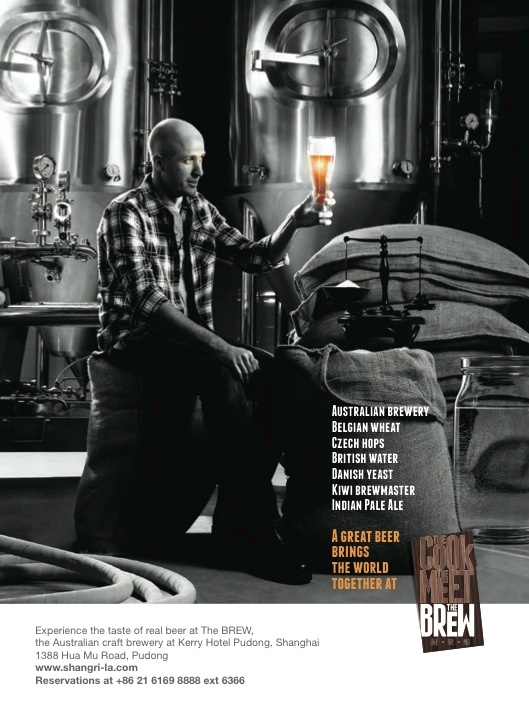 Resist any tempting aromas (you will encounter many), and head straight for the craft brewery, The BREW. When there, ask Leon the brewmaster to pull you a delicious fresh frothing pint of his amazing beer. Tell him the English Copywriter in Hong Kong sends his regards, raise your glasses, and drink a toast to art director Michelle Miralles, photographer Todd Taylor and crew, and the great team at the hotel who all helped to make this shot look so cool. How do you appeal to the very, very top level venture capitalist? The type of person who can literally change the world? I’m talking here about the kind of people who back Google, champion sub-orbital tourism, finance recombinant DNA and are generally behind the coolest stuff imaginable. You appeal to them the same way you appeal to anyone. You amuse them. 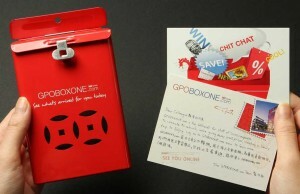 That was the guiding principle behind this project, which the English copywriter in Hong Kong helped devise. Targeting the world’s most ambitious venture capitalists, the integrated advertising campaign for global legal services provider Clifford Chance focused on the idea that, It’s always more rewarding to play by the rules. Hard to argue with that thought. And table football expresses it in a simple, engaging way. The English copywriter in Hong Kong has a lot of fun working on the Kidztory brand. This is a very interesting product line that’s on the forefront of technology and early education. 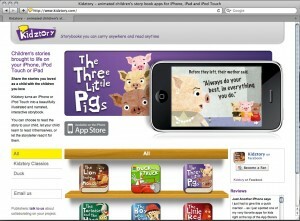 Kidztory produce popular children’s animated storybook apps for the iPhone, iPad and iPod Touch. 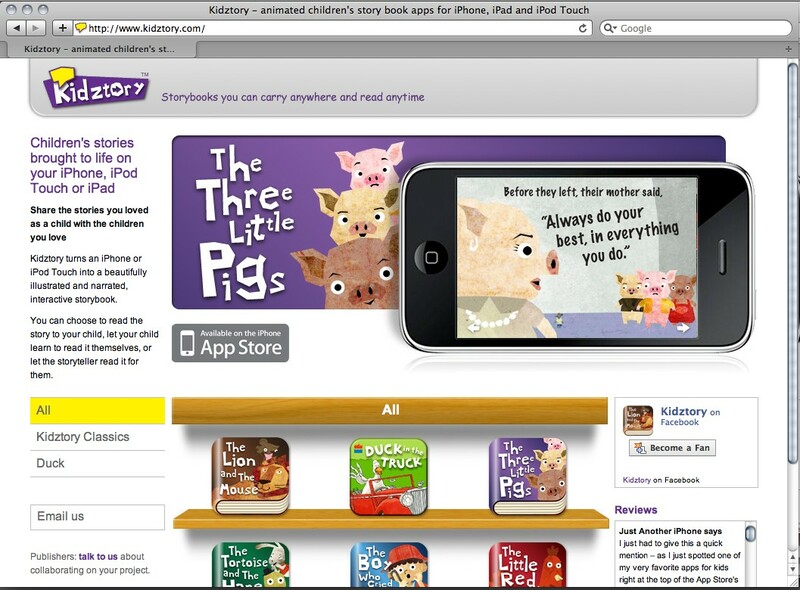 As well as classic children’s tales and innovative original stories published under the Kidztory brand, the company produces storybook apps for Harper Collins and other publishers. The English copywriter in Hong Kong likes working with Tai Shing Diary Limited. The company publishes a range of notebooks and diaries sold all over the world. Bluetrek is a rising star in the Bluetooth accessories category. The Hong Kong English copywriter helped devise an integrated advertising campaign to globally launch their flagship Crescendo – the world’s friendliest Bluetooth headset. Who is your most important audience? Most marketers would answer, “The customers”. This is only partly right. Your customers won’t get your message if your salespeople don’t get it. And on some level all employees are salespeople. So your most important audience is arguably your employees. That’s why it’s crucial to develop an effective internal communications programme. The Hong Kong English copywriter helped develop this internal communications campaign for the relaunch of Swire’s employee intranet of intranets. The website, GPOBOXONE.com (named after the group’s prestigious Hong Kong postal address) aims to unite teams from a wide range of companies in a single online community. It can be quite a challenge to get your business organically ranked high in search engines. It’s also potentially very, very lucrative to appear in the top ten searches. 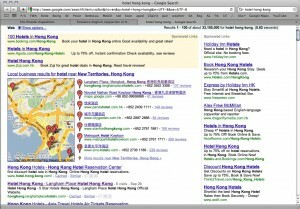 Hong Kong’s English copywriter is quite good at achieving success in SEO (Search Engine Optimisation). Perhaps that’s how you found this site? As well as optimising your search, I will ensure your message is on brand, persuasive and makes your website look professional. My ability to integrate SEO and brand messaging is apparent on Langham Hotels International’s websites. Langham operates luxury hotels in many of the world’s most popular destinations. I wrote much of the copy for their hotel websites Of course my work was guided by the terrific Langham SEO and branding teams. 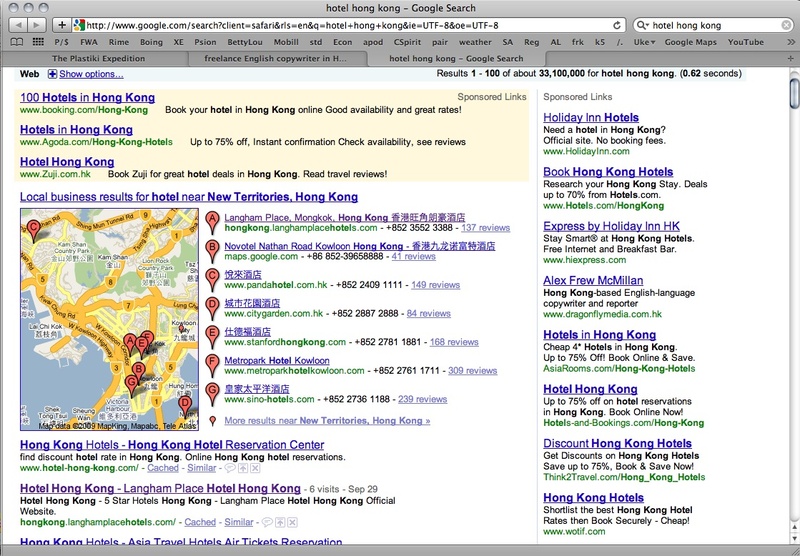 “Hong Kong Hotels” is a very hotly contested search term. The success of Langham’s SEO efforts can be seen in the attached graphic. Langham properties consistently appear among the top ten for organic search for hotels in the destinations where they have a presence. Mirae Asset is a remarkable Korean financial institution. Launched at the height of the 1997 Asian financial crises, the company pioneered consumer mutual fund investing in Korea. 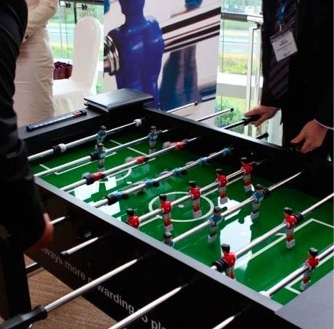 Its dominant position in Korea’s retail investment sector has enabled it to rapidly expand at home and overseas. The Hong Kong English copywriter helped the company in many ways, from video scripts to advertising, websites, collaterals and more. I also coined the Mirae Asset brand positioning line: Building on principles. 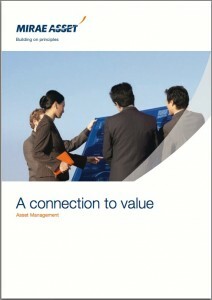 The photographs for this Mirae Asset corporate brochure were shot at an airstrip in London during an icy gale. Ohhhhh the hardships the Hong Kong English copywriter will endure for his clients. 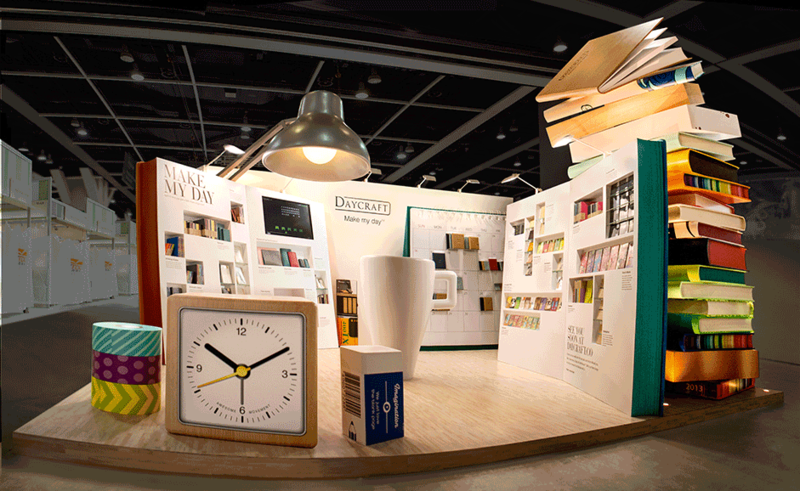 The brochure spreads demonstrate how a strong brand slogan can lead to interesting creative possibilities. The bridge depicted is from a design by Leonardo Da Vinci.